Most would ask when I tell them a trip to our northern neighbor was brewing. “Why not?” Truth is, Taiwan was never really on my radar until Fun Taiwan, a travel show featuring fun things to do in… you guess it… Taiwan. So yeah, these shows can entice. As an aside… can someone please produce a more quality shows about the Philippines? and even a park share space and voice. 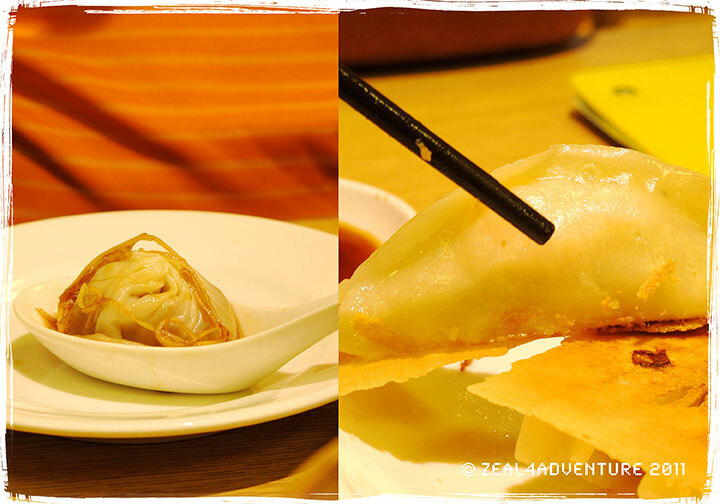 The best Xiao Long Bao — in my opinion. 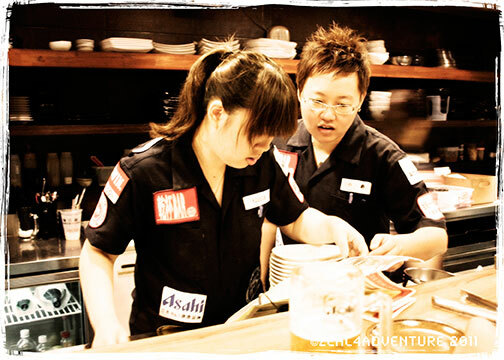 On the right a new dish: Shrimp and Pork Pot sticker. It is also where the first Din Tai Fung outlet is still found and to this day, lines are long so being there early is wise. 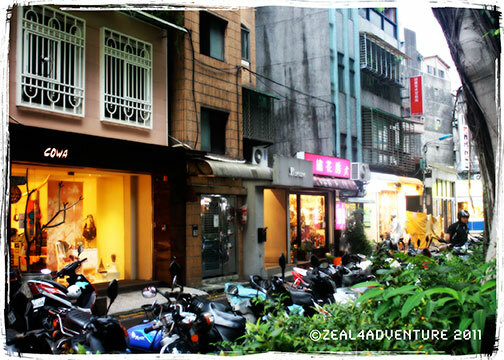 (We had an early dinner there on our last night in Taipei so we would not have to wait for a table — more on why this is a top choice here). Dandy Hotel — uses simple lines, white walls and bleached furnitures giving an uncluttered feel to a small space. 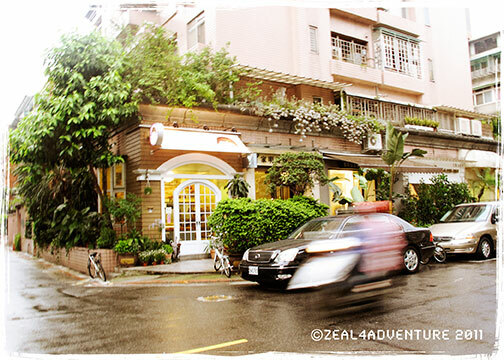 Just a short walk from our trendy boutique hotel at the Da’an district, we set out to Yong Kang for some happy hour and dinner after. 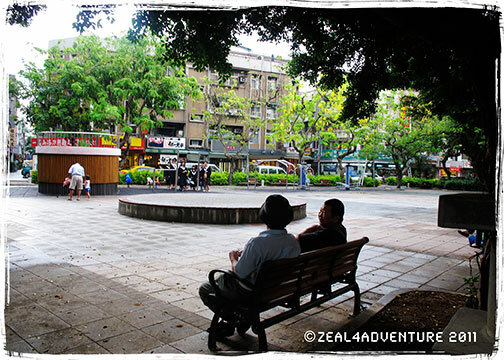 After a full day, we deserved it to unwind and to finally savor our first day in Taiwan. Taken from Baskin and Robbins on the 2nd floor of the station where an array of restaurants and shops are found. 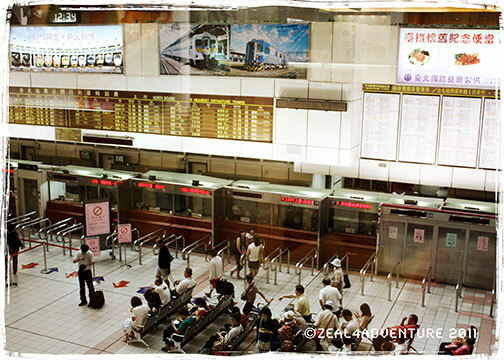 At the Taipei Train Station earlier that day, we got by with the simple mandarin tucked away in my brain somewhere and managed to buy train tickets for our journey east the following day. We decided to explore the station first to find our way around before tomorrow’s journey. It’s a huge station, getting lost or worst, getting on the wrong platform or train is a possibility… especially since many still speak very little English. So our game plan was to always be one step ahead. 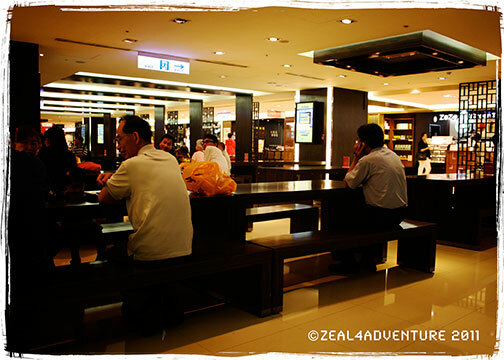 With that out of the way, we headed to the second floor and devoured our first meal in Taipei – Beef Noodle Soup at the food court. A glimpse of what was to come (food-wise) in the next few days… actually in the next few hours. Wonderful staff helping us find our way around. That’s our map that they were trying to figure out for us. Walking around Yong Kang, we entered a bar thirsty for some cold beer. 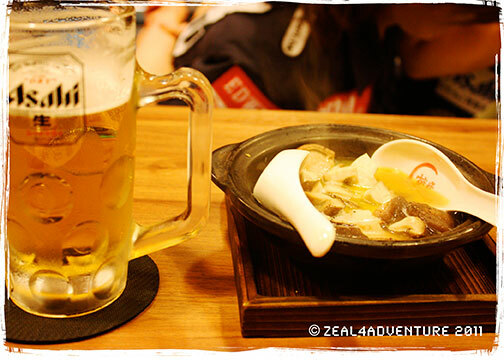 We made friends with the servers while downing our Asahi and a side dish of shiitake mushrooms. 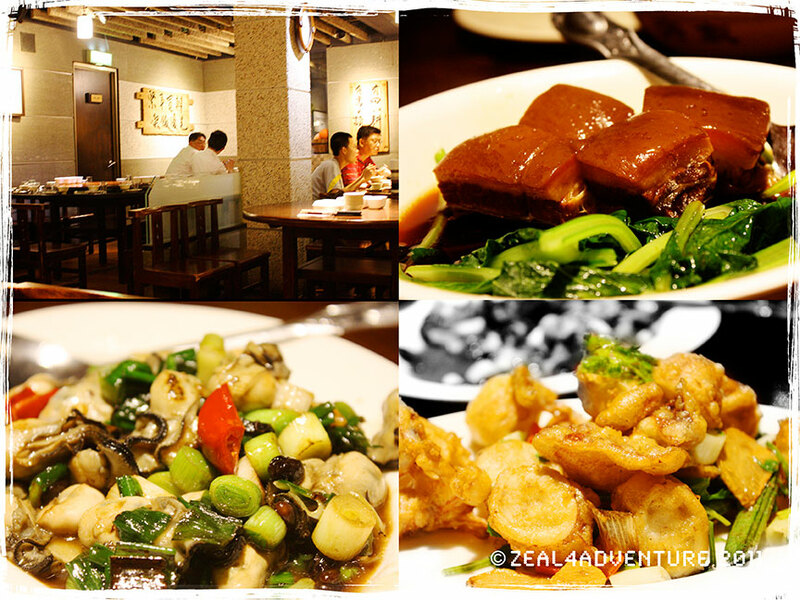 Clockwise: a succulent Pork braised in Brown Sugar; tender, crispy Fried Squid with Garlic; a very tasty Fried Oyster with Soy Sauce; interior. Our default restaurant turned out a winner of a choice. By no time, the place was full and all the food we ordered were excellent. 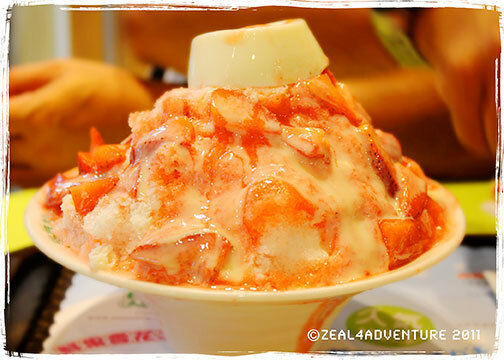 Famous not only in Yong Kang but also all over Taipei is this shaved iced dessert (like Ice Monster) and the sweet tooth in me just couldn’t resist. Before calling it a night, we stopped by Smoothie House and I convinced A to share this huge bowl of shaved ice filled with strawberries, condensed milk and topped Panna cotta with me. Fascinating travelogue and very atmospheric captures. Thanks for sharing and for visiting my blog. whoa. another gastronomic delight. iba talaga oriental food no? to be honest with you taiwan has never crossed my radar. but i’m glad you featured it here. I enjoy your writing style genuinely enjoying this web site. “Slow and steady wins the race.” by Robert Lloyd.